Imagine having the benefit of a team of designers for your kid’s next birthday party, decorating the room, setting the table…okay, now open your eyes. We can’t be there to do the legwork, but we did go searching for birthday decor and favors that we would’ve have loved to have at our own first, third, or more recent parties—but we didn’t spare on practicality either. Think of it as the shape of cute to come. 1. 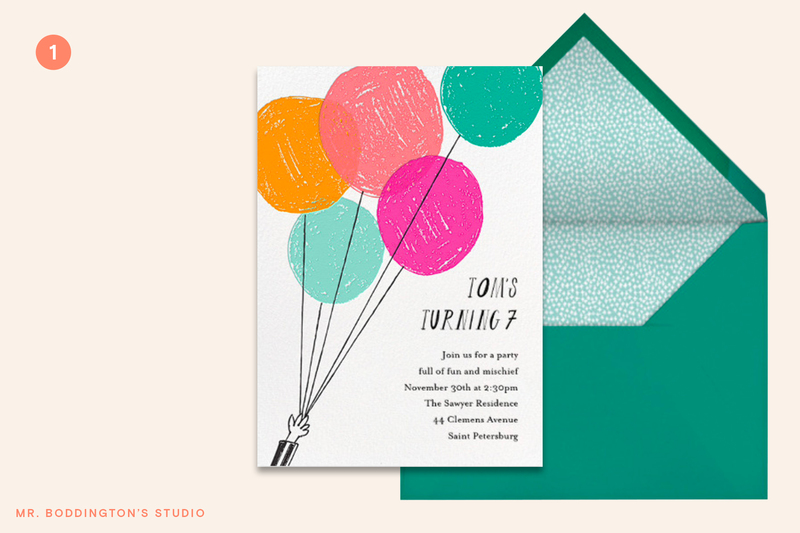 “Vanilla or Chocolate Cake” by Mr. Boddington’s Studio: we love this invitation for its versatility and its charm: what kid doesn’t love balloons? What doesn’t look festive in these colors? What could be more joyful than the quirky drawings of Mr. Boddington’s Studio? 2. Paper tablecloth – Let’s raise the table stakes: a bright paper tablecloth sets the scene for your colorful party and, best of all, makes cleanup a breeze. 3. 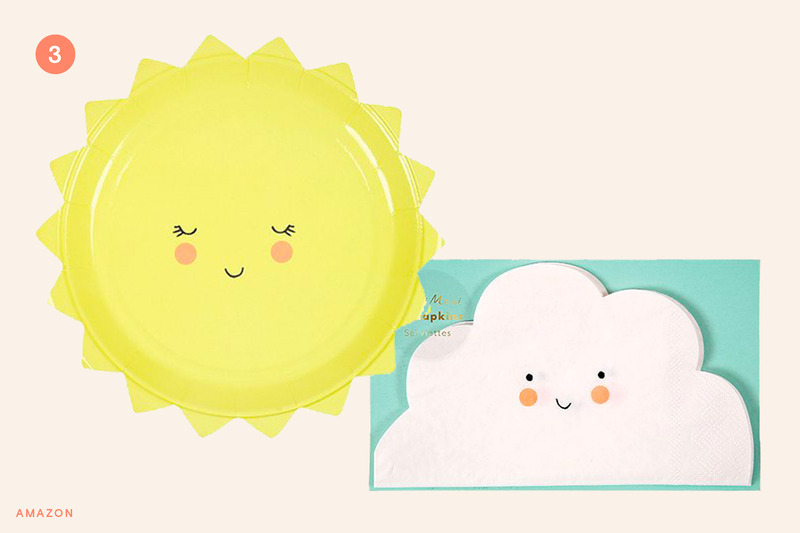 Smiley Sun and Smiley Cloud napkins and plates – We’re still used to round plates and square napkins, so these meteorological table settings with scalloped corners and contemporary cartoon faces gave us a pleasant surprise. 4. 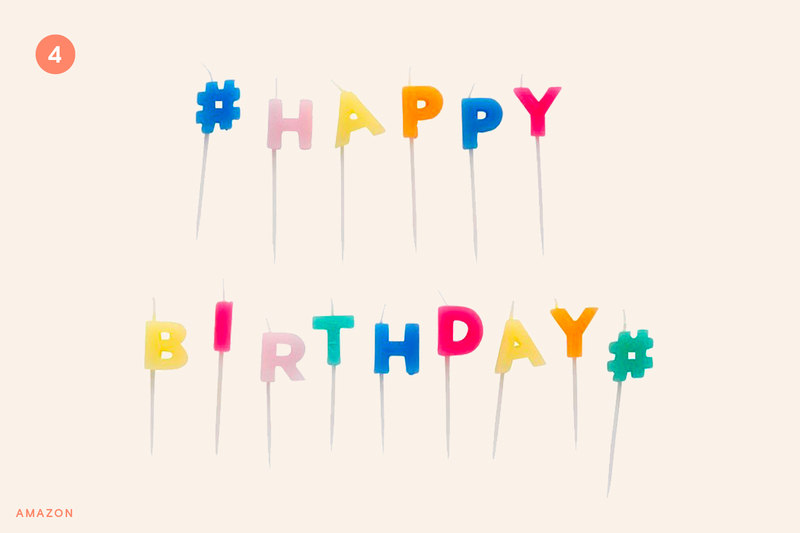 Happy birthday candles – Early birthdays are the only ones where you might hear complaints over too few candles on the cake. These candles let you give even your youngest honoree a cake illuminated with candlelight. 5. 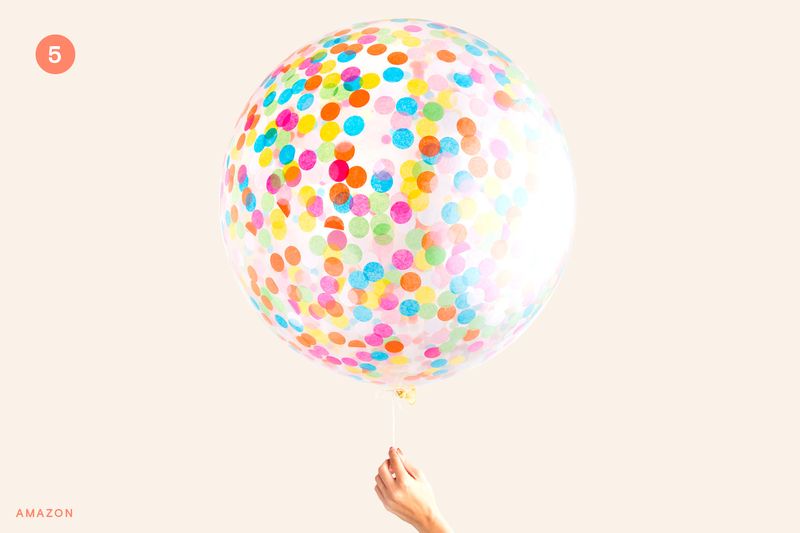 Confetti balloon – Confetti stays off the floor, and instead, beautifully aloft in these balloons. 6. 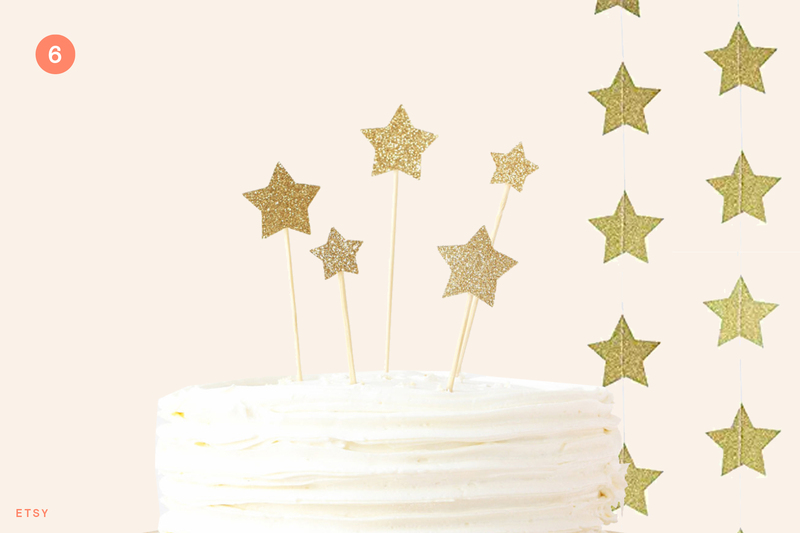 Glitter star garlands and matching cake toppers – You can still add sparkle to your setting with these whimsical decorations. 7. 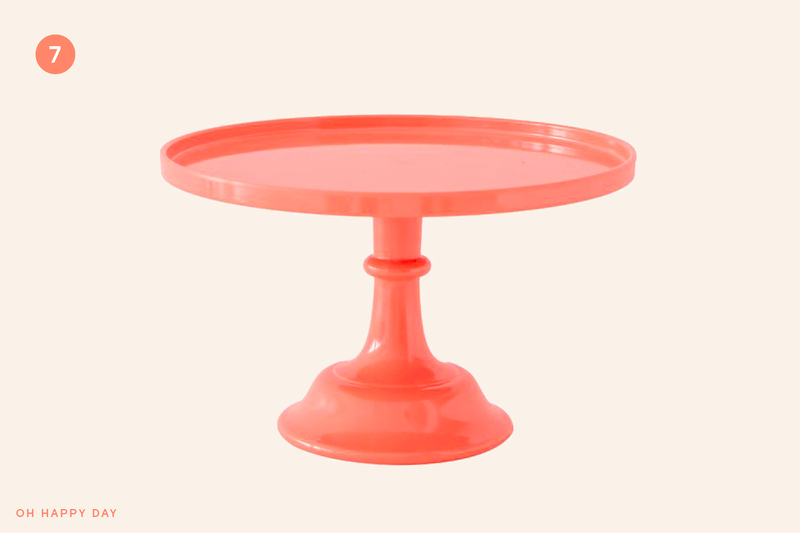 Cake stand – Good serveware elevates your party cake (in this case, literally). 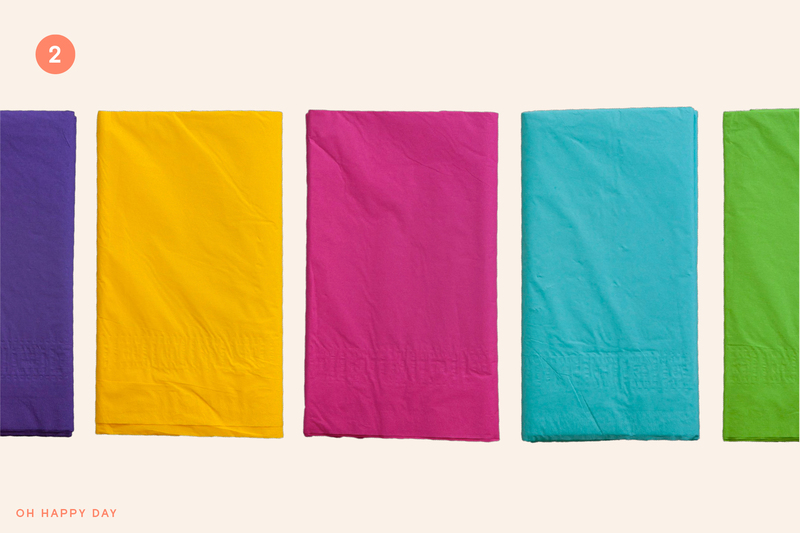 This bright melamine option can also handle roughhousing, or the knocks of little hands. 8. 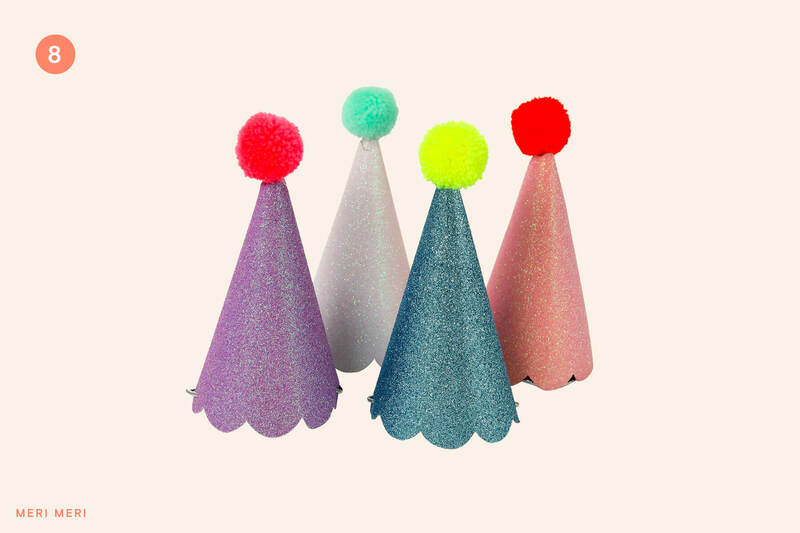 Party hats – Of course, you need a classic to cap off the whole shindig—these will do nicely. Balloons not floating your boat? 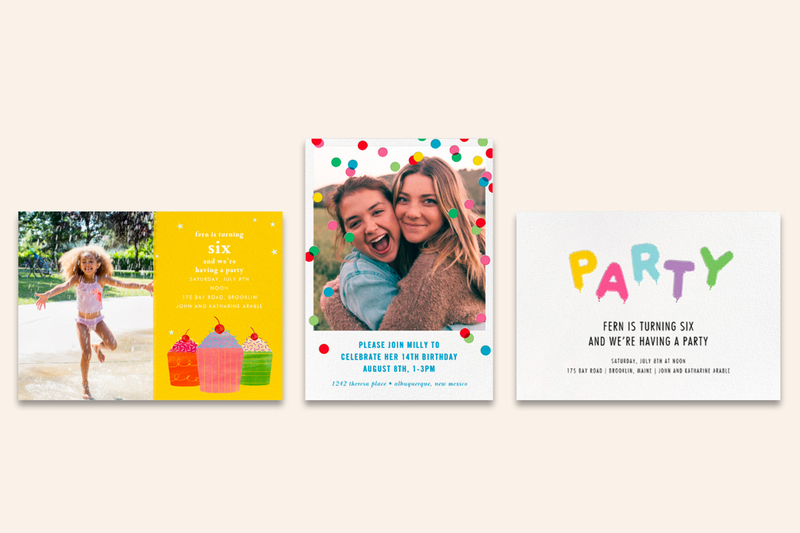 Here are some other invitations you might like: Cupcake Social (Photo) by Paperless Post, Birthday Baronial (Photo Invitation) by kate spade new york, Mylar Party – Multi by Paperless Post. 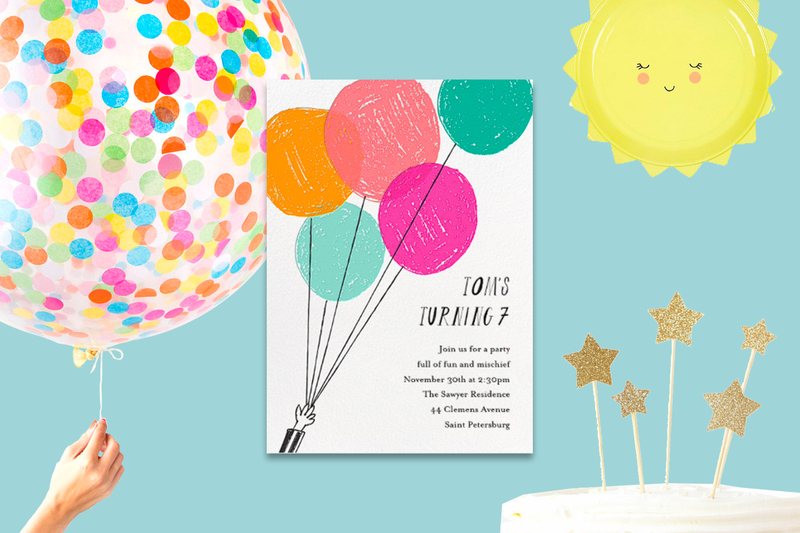 Browse some of our other kids’ birthday invitations.